Kracie DIY candy kits are a fun and interesting way to make your candy and treats by crafting them! This is a do-it-yourself kit for creating your own soda-flavored gummy candy ball creations! By mixing and placing the colorful candy sauces to the molds and using the dropper to create small candy balls you can create fun-shaped treats for yourself or to your friends! 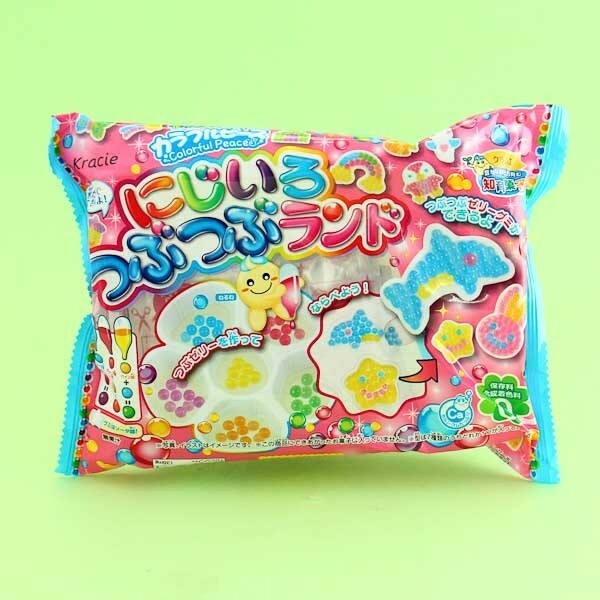 Each kit comes with 4 different patterns such as dolphin, star, rainbow, heart, and bunny molds. 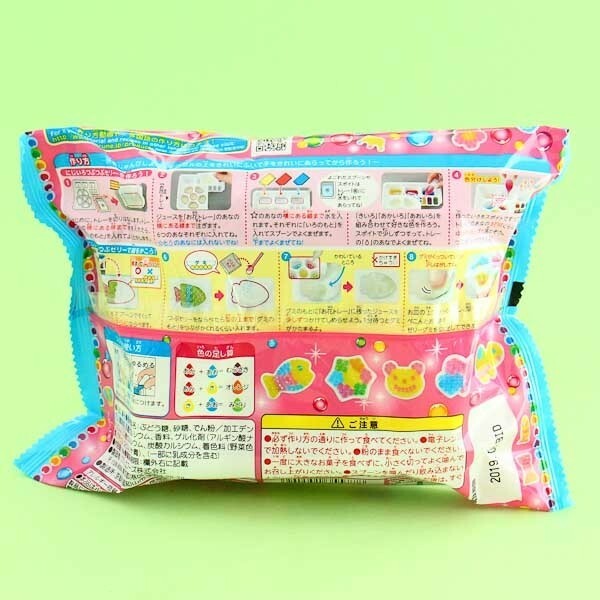 The package includes all the necessary ingredients, tools and instructions - just add a little bit of water, sugar and creativity! This kit is great fun for both children and adults! Make colorful soda-flavored gummy candy ball creations for youself or with your friends!